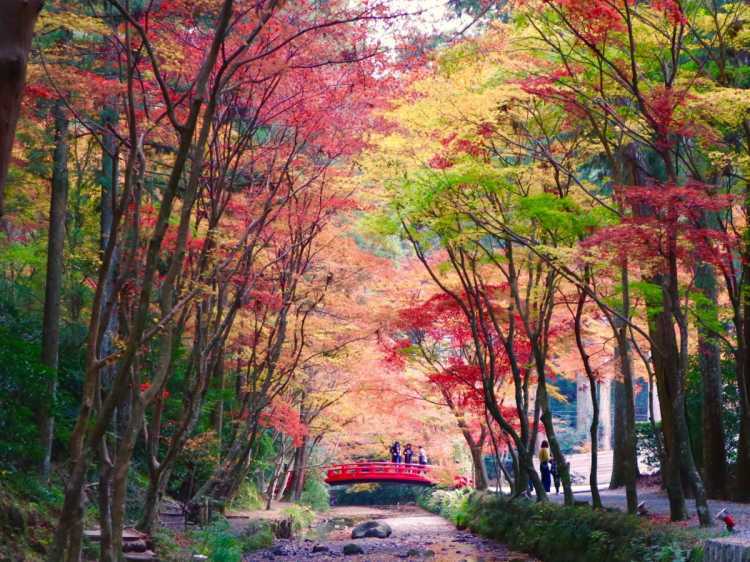 Okuni Shrine is a famous spot to see autumn colors in Shizuoka. 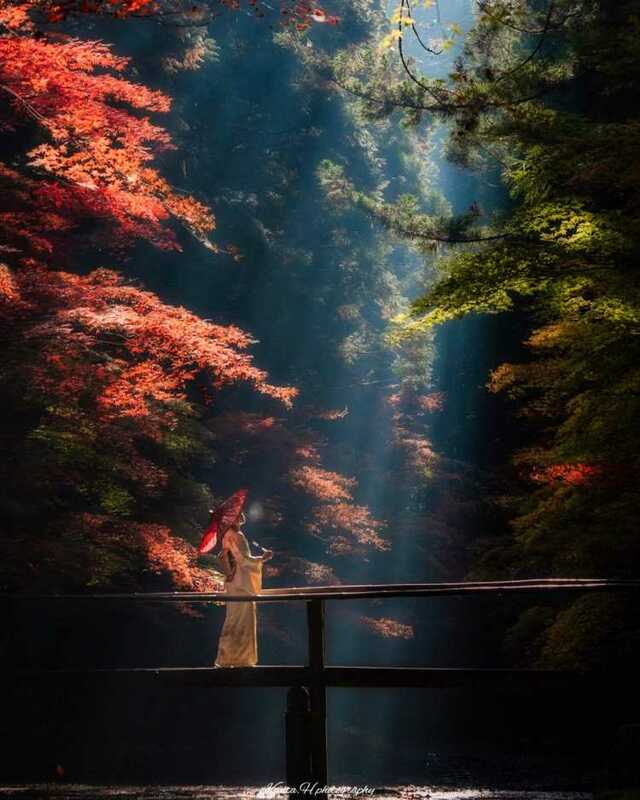 Its highlight is the ray of light falling to the bridge. It appears at 8:30 in the morning. Many people come and fill up the place to take pictures, so it's better for you to go earlier than the morning sun rises! 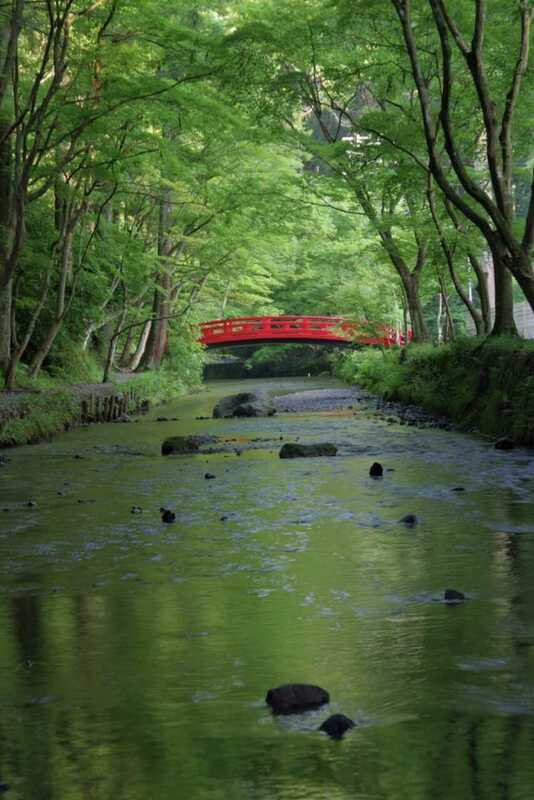 I could feel the coolness surrounded with fresh greens, and have a relaxing time released from the daily life. From May to June, adjoining Ichinomiya Iris Garden opens, but it's over in 2018. Kotomachi Yokocho Town has various shop to eat sweets and drink tea. We went here in the early December though, the autumn colored leaves was still in best to see because this year had late fall foliage. 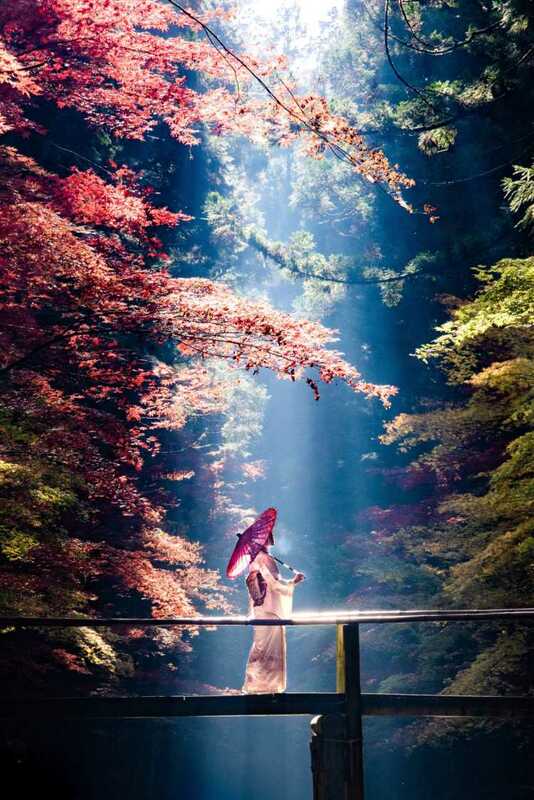 Colorful autumn leaves, a vermilion bridge, water surface with fallen leaves, everywhere we see is beautiful! ◎The parking area gets crowded so much, so it's better for you to give yourself plenty of time. In front of Okuni Shrine, there're some stalls to eat light meals.